Nonesuch Records was founded in the Spring of 1964 by Jac Holzman to produce "fine records at the same price as a trade paperback", which would be half the price of a normal long-play record. To achieve this he initially licensed European recordings of classical music as it would be too expensive to record new material. Upon its formation, Nonesuch operated as a subsidiary label of Elektra Records, which Holzman had launched in 1950. 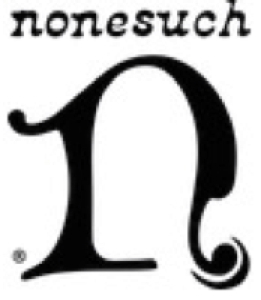 In 1970, Holzman sold Nonesuch to Kinney National Company, which became Warner Communications and later part of Time Warner's Warner Music Group. In 2004, Warner Music Group (WMG) became an independently owned, publicly traded company.